isn't this supposed to be a gym? Yes and yes. The difference is you have just walked into the biggest, most energising, exhilarating, motivating place in Cairns. Your Fitness is the only place you need to go to get fit, stay fit, and become even fitter. The only place where working out is as much fun as going out. 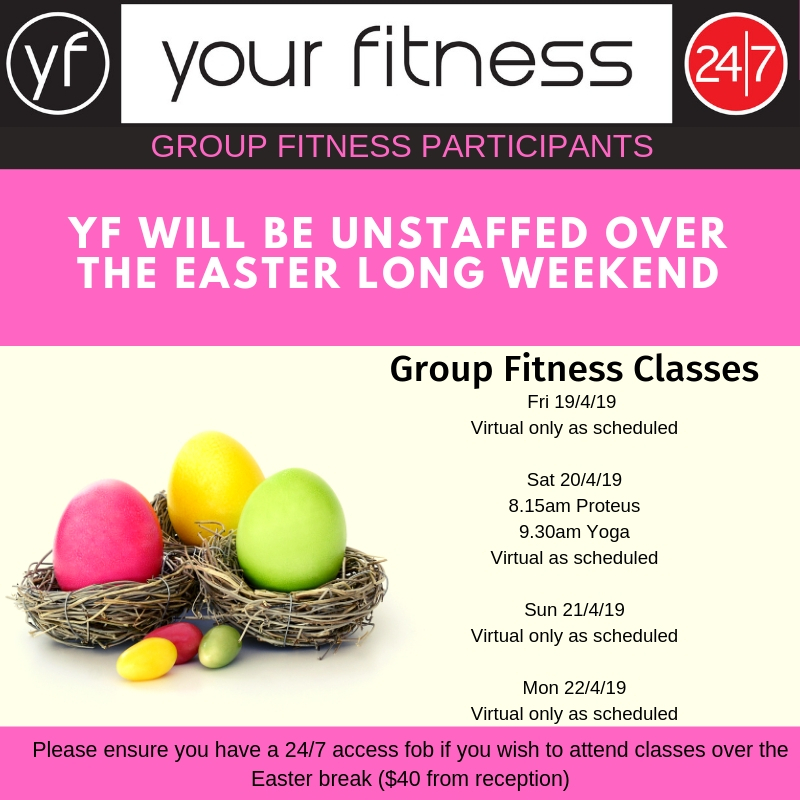 Your Fitness has over 2000m2 of workout area located over 3 levels, 4 group fitness rooms offering over 300 classes per week, air-conditioned training zones, boxing area, 2 sled runs, Personal Trainers and the best equipment you've ever tried to lift, pull or push. Welcome to Your Fitness ... It's time to play harder.